Washington (CBS News) - In a surprise development, former National Security Adviser Michael Flynn has asked that his sentence be delayed. He was in court in Washington, D.C. Tuesday morning to be sentenced for lying to the FBI about conversations he had with Russian Envoy Sergey Kislyak. The delay will give Flynn the opportunity to cooperate further with the government, especially given the harsh words Judge Emmet Sullivan had for Flynn during his hearing, at one point wondering whether he could be charged for treason. "Arguably, you sold your country out. The court's going to consider all that." Judge Sullivan told Flynn. "But I'm not hiding my disgust, my disdain for this criminal offense." "I'm going to be frank with you -- this crime is very serious," Sullivan told Flynn. He noted that the crimes had been committed by a high-level security official, "in the West Wing" of the White House. The judge also said he would take Flynn's 33 years of military service into consideration, but expressed dismay that "all along, you were an unregistered agent of a foreign country while serving as the national security adviser to the United States." He was referring to Flynn's links to Turkish President Recep Tayyip Erdogan's government and his late registration as a foreign agent with the Justice Department. Flynn's failure to register as a foreign agent was a felony that might have carried a 10-year sentence if he had been convicted, special counsel attorney Brand Van Grack told Sulllivan. But he provided substantial assistance in the indictment announced Monday of his former business associates, who were charged with crimes connected to a federal investigation into Turkey's illegal lobbying effort to pressure the U.S. to expel an enemy of Erdogan's. Sullivan also asked Van Grack if there were other charges, besides the foreign agent registration and false statements, that could have been brought against Flynn. He wondered whether interfering with elections qualifies as "treasonous activity on his part?" Van Grack replied that that was not a charge the special counsel had considered. But Sullivan persisted. "Hypothetically could he have been charged with treason," Sullivan asked. "I'm hesitant to answer," Van Grack said. However, after a break in the proceedings, Sullivan apologized for suggesting that Flynn was an unregistered foreign agent while he was at the White House, and that he may have committed treason. The prosecutor noted that Flynn's conduct as a foreign agent ended in mid-November 2016. "I feel terrible about that," Sullivan said, adding, "I'm not suggesting he committed treason." Early in the hearing, Sullivan asked Flynn a series of questions about his guilty plea before discussing his sentence, and he focused on a complaint raised by Flynn's attorneys in their sentencing recommendation -- that Flynn had not been notified that lying to the FBI is a crime prior to his January 2017 FBI interview. "Do you challenge the circumstances by which you were interviewed by the FBI?" Sullivan asked him Tuesday. "No," Flynn responded. Were you not aware that lying to FBI was a crime, Sullivan asked. "I was aware," Flynn said. Sullivan asked, "Do you seek an opportunity to withdraw your plea in light of those revelations?" "I do not your honor," Flynn said. And then he asked Flynn whether he was "satisfied with your attorneys?" Flynn affirmed that he understood and that his guilty plea stands. 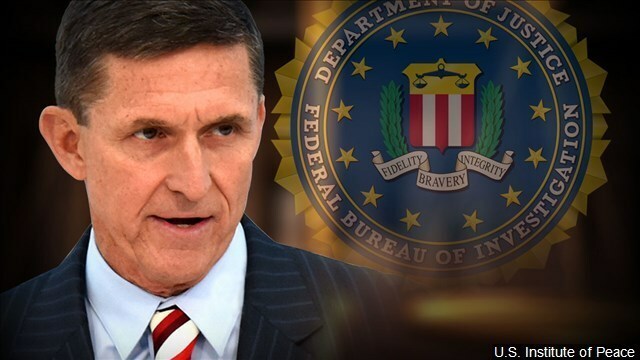 In the sentencing phase of the hearing, Sullivan noted, "Mr. Flynn agreed to plead guilty to count 1," and went on to discuss the particulars of Flynn's case. Flynn lied to the FBI, he noted, "while on the physical premises of the White House." But he also acknowledged the leniency requested by the special counsel for his cooperation. Van Grack, asked by Sullivan if Flynn is continuing to cooperate, said that "it remains a possibility" that Flynn is continuing to cooperate with the government. The special counsel's office has recommended that Flynn receive zero to six months of incarceration due to his "substantial assistance" in the investigation. He met with the special counsel 19 times as part of his agreement to cooperate with the government in its investigation into Russian meddling in the 2016 presidential election. The special counsel says Flynn has been cooperating in "several ongoing investigations." Flynn helped government investigators on a "range of issues, including interactions between individuals in the Presidential Transition Team and Russia." President Trump tweeted about Flynn's sentencing earlier Tuesday: "Good luck today in court to General Michael Flynn. Will be interesting to see what he has to say, despite tremendous pressure being put on him, about Russian Collusion in our great and, obviously, highly successful political campaign. There was no Collusion!" Flynn's attorneys think he should receive probation and community service and be spared prison time, out of respect for his decades of military service and his "genuine contrition for the uncharacteristic error in judgment that brought him before this court." On Monday, the judge in the case, Emmet Sullivan, ruled that the interview notes from Flynn's first interview with the FBI, conducted by agent Peter Strzok, had to be released to the public, an order the special counsel complied with Monday evening. Steven Portnoy and Grace Segers contributed to this report.